November | 2012 | 50 Westerns From The 50s. 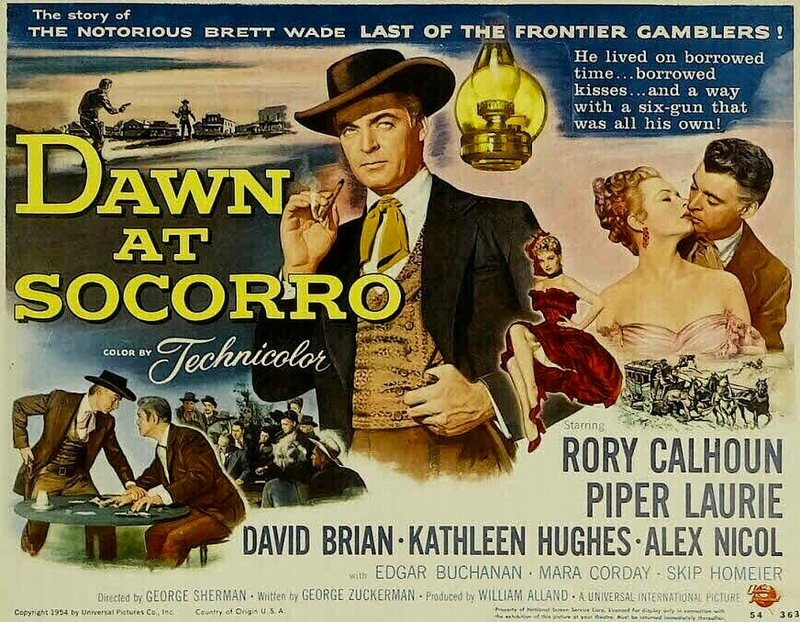 50s Westerns DVD News #105 Revisited: VCI’s Holiday Sale Extended. Due to the high volume of traffic on our website, we are extending our Annual Holiday Sale through December 5th at 11:59 pm (CST). All DVDs and Blu-rays are 50% off our suggested retail price! Visit www.vcientertainment.com and enter coupon code CYBEREXT on the “Checkout” page to receive your discount. If you have any problems placing your order, please call 800-331-4077 during regular business hours (M-F 8:30 am – 5:30 pm CST) and we will honor the coupon over the phone. John Wayne: The Legend And The Man. Coming next week (December 4) is a book that could very well be a must for folks who mosey through this blog: John Wayne: The Legend And The Man. 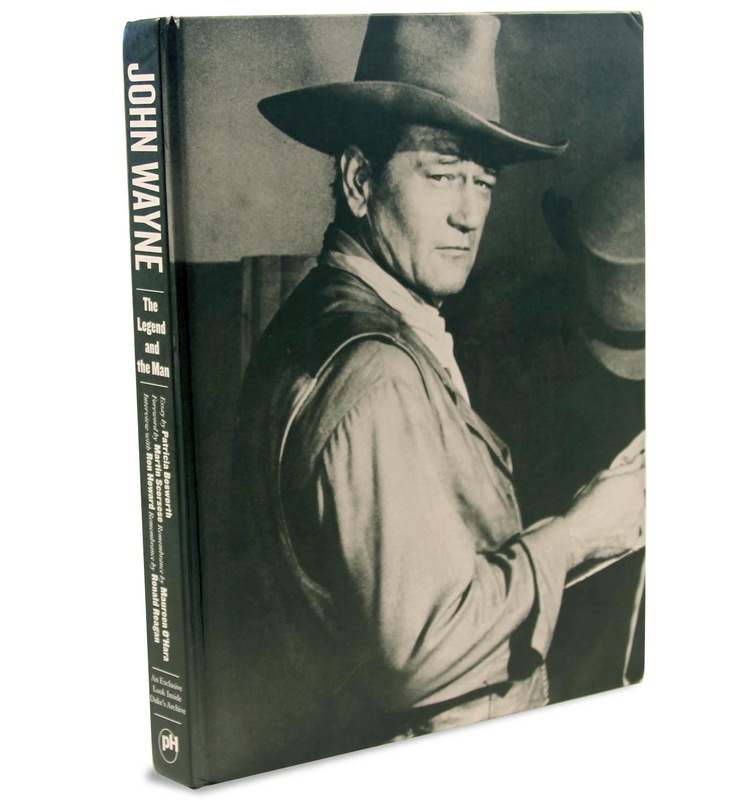 Put together by John Wayne Enterprises, this estate-authorized book features photos and personal memorabilia from every part of Wayne’s incredible life and career. It also includes an essay by Patricia Bosworth, a foreword by Martin Scorsese, remembrances by Maureen O’Hara and Ronald Reagan and an interview with Ron Howard. Can’t wait to get my hands on a copy. You can get order one here. 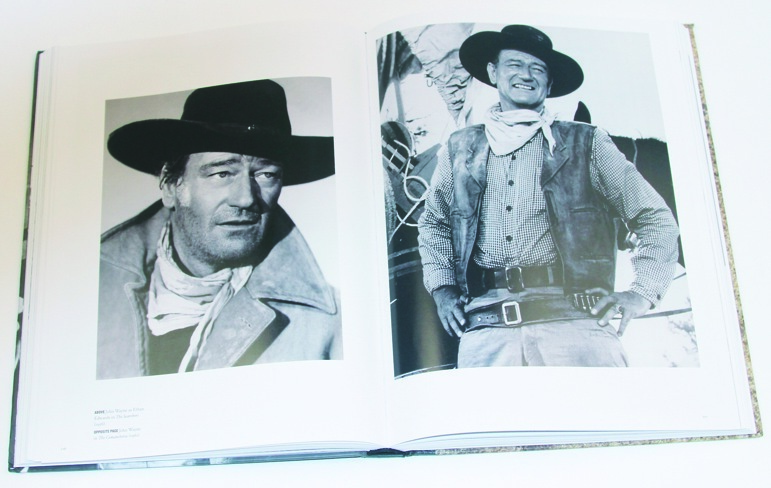 IMAGES: From John Wayne: The Legend And The Man by John Wayne Enterprises, published by powerHouse Books. Today let’s remember Jeffrey Hunter, an actor whose career was cut way too short. 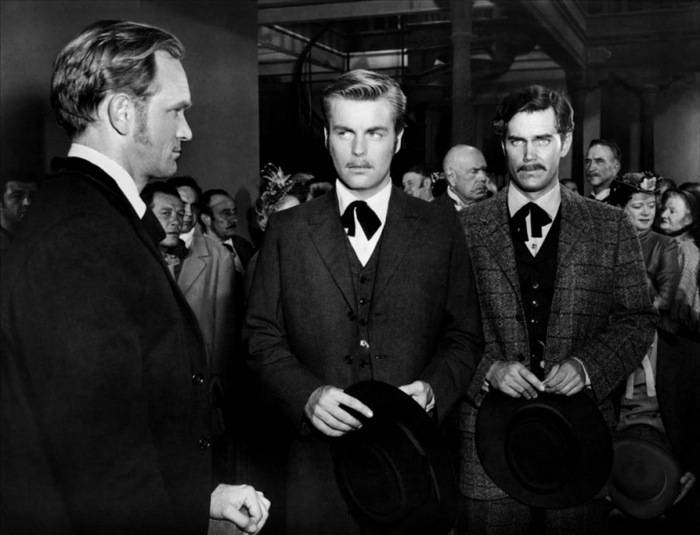 He’s seen above, at right, as Frank James in Nicholas Ray’s The True Story Of Jesse James (1956). He’s excellent in this underrated film. 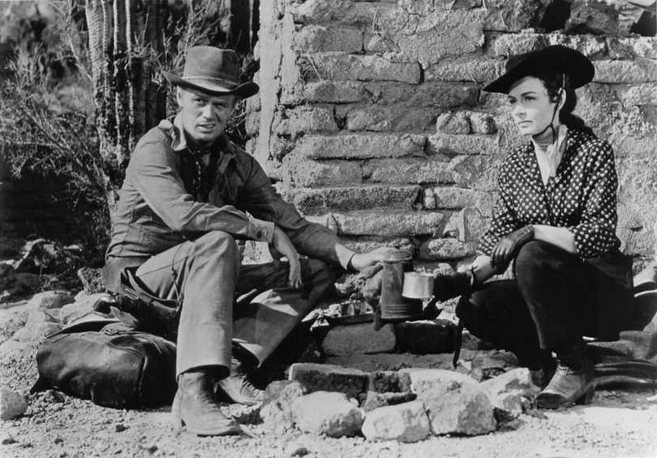 Western fans also know him for his strong performance in John Ford’s The Searchers (also 1956). Not many actors could threaten John Wayne and not get laughed off the screen. He was in the first Star Trek pilot. And he played Jesus in Ray’s King Of Kings (1961) — he’s parlayed the role in my mind’s eye ever since. Another Nick Ray movie that doesn’t get its due. There’s also The Great Locomotive Chase (1956), The Longest Day (1962) and many others. A remarkable body of work for someone who passed away at just 42. 50s Westerns DVD News #106: From Hell To Texas (1958). There’s been some speculation on this one. Is it actually coming? Will it be widescreen? Has Fox dumped it MOD program? Movies Unlimited now has it listed for pre-order with a release date of December 16. And they say it’ll be widescreen — good news, since the CinemaScope picture is unwatchable pan-and-scan. From Hell To Texas (1958, also known at The Hell Bent Kid and The Manhunt) is a very good late-50s Western from Henry Hathaway, one that has never received the attention it deserves. 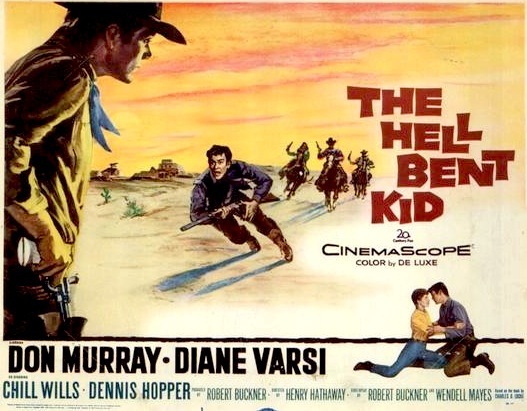 Don Murray is excellent as the young man on the run, and he’s backed by a terrific cast: Diane Varsi, Chill Wills, Dennis Hopper, R.G. Armstrong and Jay C. Flippen. This is the film that lead to Dennis Hopper being blackballed in Hollywood for nearly 10 years. * From an interview that appeared in Venice magazine. 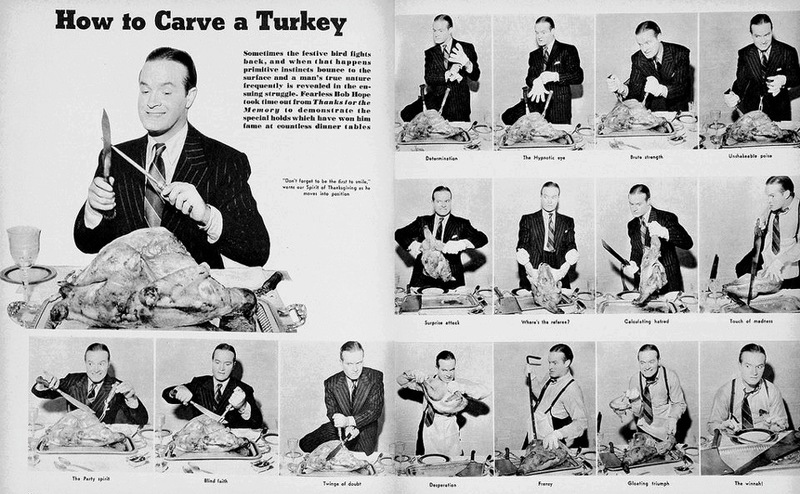 Just in time for Thanksgiving, Bob Hope (over a decade before Son Of Paleface) shows us how to carve a turkey. From an old issue of Hollywood magazine. 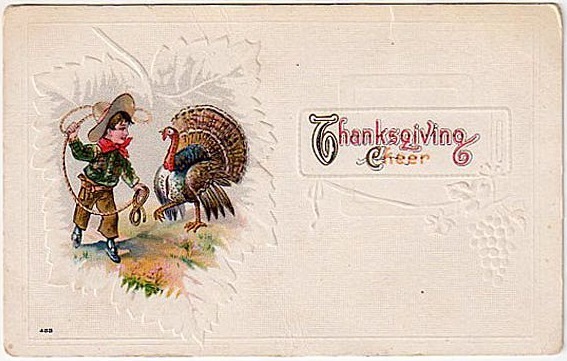 Hope your Thanksgiving holiday is a good one, filled with turkey sandwiches and cowboy movies.